It appears mainstream support for Windows Phone 8 is slated to end on July 8, 2014. Prior to recently updating its support website, lifecycle information for WP8 hadn't been officially published by Microsoft. However, this date confirms previous suggestions of a 18-month WP8 lifecycle. When "mainstream support" ends for WP8, Microsoft will no longer be obligated to issue updates of any kind. However, the Redmond software maker may still issue a service pack-style upgrade before that deadline arrives, extending its mainstream support by another 12-24 months. Windows Phone 7.8, for example, will be supported until September 9, 2014. At first glance, there may be some irony in mainstream support ending earlier for WP8 than WP7.8. However, the latter arrived after the launch of WP8, ultimately extending the older WP7x platform's lifecycle by roughly 18 months. 7.8 is actually a service pack issued for 7.5 to add WP8-like features to older Windows-based handsets. Microsoft claimed it could not roll out WP8 on previous generation devices, so 7.8 was intended to assuage early Windows Phone adopters. Although Microsoft has yet to publicly commit itself to the release of a WP8 service pack, there has been talk of two more updates penciled in before 2013's end. There's also the matter of Windows Blue, although whether it'll have anything to do with a service pack remains to be seen. 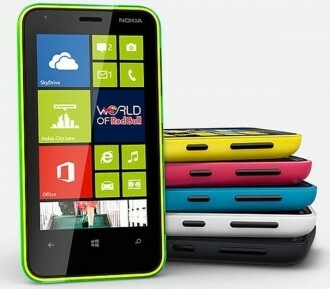 Even more interestingly though, a recent job posting indicated that WP8's successor is scheduled to arrive before 2014. In the past, Microsoft indicated handsets running WP8 -- unlike WP7.5 -- will be upgradeable to the next version of its mobile OS. With the advent of WP9 (or whatever it may be called), any concerns over WP8's limited lifecycle support may actually be moot for most people. Even so, it's worth noting that many Windows Phone owners will be at the mercy of their carrier and handset manufacturer (namely HTC and Nokia) when it comes to updates. As a result, I wouldn't be surprised if a major upgrade like WP9 doesn't make it to all WP8 handsets. Let's hope that's not the case, though.